JURGEN KLOPP has revealed his delight at ending Pep Guardiola's 22-game unbeaten run with Manchester City, exclaiming live on air: "What the f**k was that?!" And the Liverpool boss also blasted critics taking aim at his leaky defence, adding: "Blow up my boots!" Klopp was on cloud nine after masterminding a breathless 4-3 win over the title favourites at Anfield this morning. A second-half blitz saw Liverpool race into a 4-1 lead before City grabbed two late goals to set up a nervy ending. Loris Karius was heavily criticised at half-time by Sky Sports pundits Graeme Souness and Shay Given after his mistake gave City a vital equaliser. But Klopp didn't care about the lack of a clean sheet, insisting Premier League fans had been treated to a real treat of a spectacle. 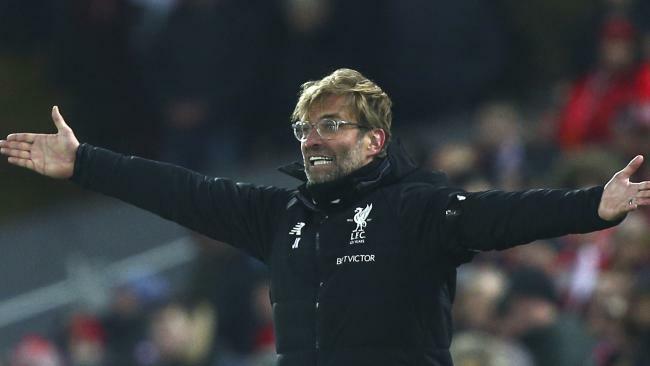 And after a four-letter slip-up during an interview with US outlet NBC, leading Klopp to joke he "thought in America it was OK (to swear)", the German told BBC Sport: "You can watch it as a manager or as a football fan and I prefer to do that - wow! "What a game! Two teams, full throttle. This was a historical game you will talk about in 20 years because it looks like City will not lose another one this year.